Mix of ST and two track. Mix of riding in the forest and on open slopes. Big climbs, nice flats, big descents. Follow the same route as Jargalant to Zaisan until you reach the second opening. From the second opening do not head down to Zaisan. Instead follow the trail SE out of the opening. 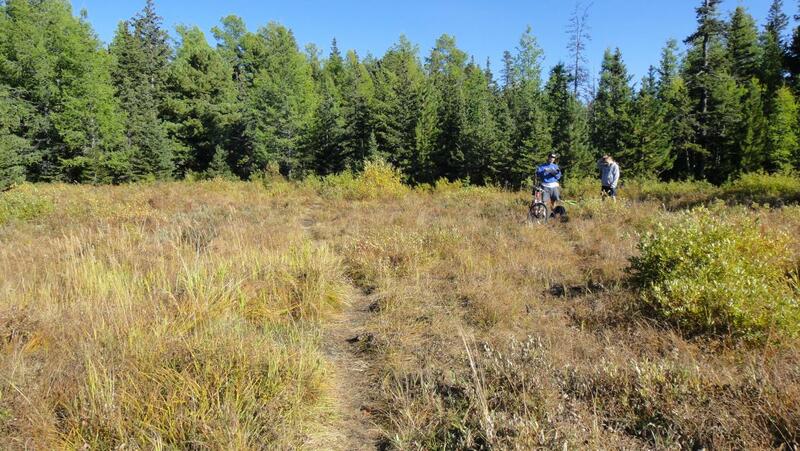 This trail will lead you through the forest to a westerly facing valley off the mountain. Ride down this valley west until you reach a gate and guard. The guard will probably tell you that the valley you are/were in is closed, thus, the name Forbidden Valley Trail. But after informing you, then you can just exit the area. Soon after exiting, take the next 4x4 road heading north through a little pass. This leads you back to Jargalant Camp. Make sure you ride this loop clockwise as described here because the guard will not allow you to enter the valley from the west. You must enter from east and the top of the mountain. Then when you hit the gate and meet the guard, he has no option but to just let you exit. Review: Fun ride. Good mix of gnar, flow and speed. Forbidden Valley Loop MTB Trail 4.00 out of 5 based on 1 ratings. 1 user reviews.